When you have a pre-schooler in the house you soon learn that they are an energetic dynamo, always on the move and curious about everything. You want to encourage them to be active but there are few programs available to pre-school kids that are more than supervised play-time. My name is Scott Bullard and I am a karate sensei/chief instructor. I have developed a highly successful program designed to teach 4 and 5 year olds these very life skills. It is called the Novice Pre-school Program taught at Canada’s Best™ Karate. When creating this program I realized early on that in order to teach a pre-schooler you need to capture their attention and imagination. That’s what makes karate the ideal tool to use to teach life skills to kids – they are intrigued by the techniques of karate and are eager to imitate the actions of the instructor. Our instructors know this and therefore model not only good karate form but also good focus, concentration, respect, manners and discipline. See if our classes are right for your child with our 10-Day All-Access Pass! From the moment your child attends a class you will begin to see how the Novice Program is able to make a difference with our students. Every moment of their time has been thought out and planned ahead by the instructor so that the students are guided through each stage of learning. 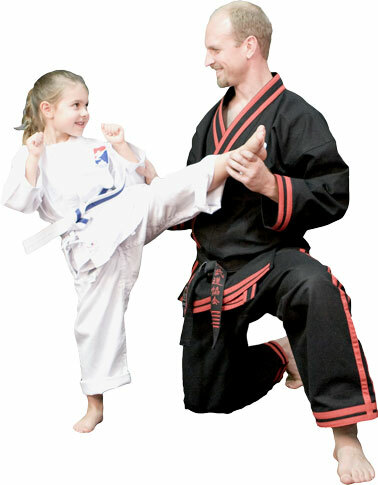 Your child will begin to show real confidence as they start to learn and practise the various blocks, punches and kicks under the direct supervision of our instructors. Because the classes are grouped by age, they are training with students near to their physical and emotional level. As well, with the lowest student:instructor ratio of any of our programs – some classes as low as 5:1 – you will know that your child will receive the attention he or she requires. Each class your child will be lead through a series of activities and drills designed to develop focus and concentration, lessons that encourage listening skills and team work. And of course the karate instruction is great for improving physical development, balance, agility and strength. Combine all this with our unique home study pages and you have a formula that works! But don’t take my word for it. Here’s what one of the parents of our students have to say about Canada’s Best™ Karate…. Although our techniques are based on centuries old knowledge, our application of that knowledge sets Canada’s Best™ Karate schools apart from other schools. From the moment you walk into our facility, you can see that we place a lot of emphasis on safety: the training area is covered wall-to-wall with a K2000 safety floor and we use a large supply of padded training equipment so that our students do not have to fear being kicked or punched in class. All of the students at Canada’s Best™ Karate are evaluated on an individual basis with positive encouragement and support from our instructors. In fact, all instructors at Canada’s Best™ Karate must be black belts with special training in dealing with children’s classes, including special needs like ADHD. 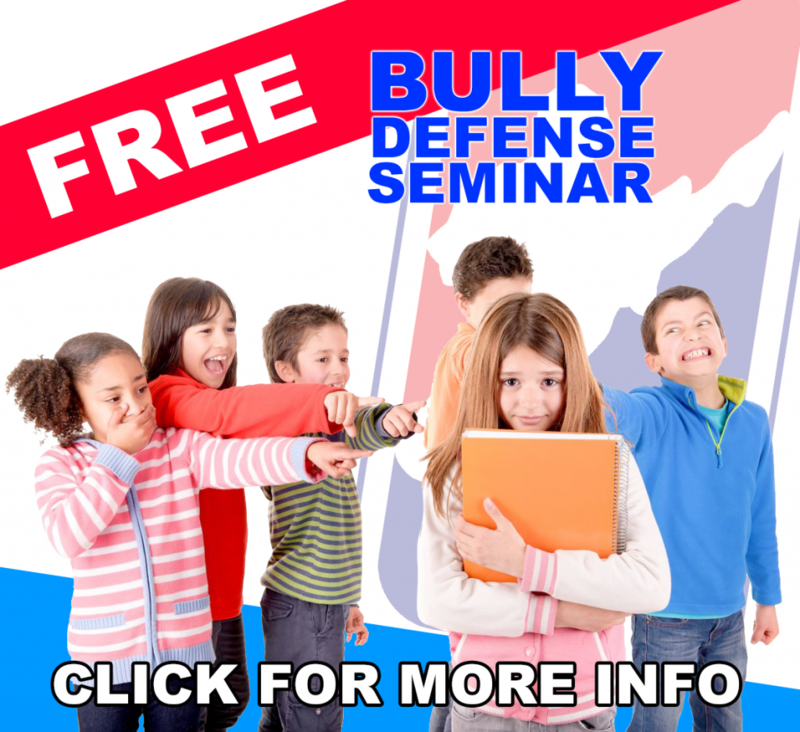 Most parents support some form of self-defence instruction for their children. But what may be appropriate for an 8 year old or an 18 year old may not be suitable for your pre-schooler. That’s why students in our Novice Program learn selected concepts from our Stranger Danger curriculum (which is also taught to our school-age karate students, along with our School Safe/Street Safe Program). Among other things, our students learn the most valuable self defence – to say “NO!” to a stranger and run for help to an adult. This is the part of our program that we hope they never have to use, but you’ll be glad they have it if the need arises. Who are your child’s POSITIVE role models? Who does your child look up to? Whose behaviours and attitudes do they imitate? Canada’s Best™ Karate understands the importance of role models, so we’ve chosen our instructors with great care. Our instructors aren’t just skilled martial arts teachers – they are much more. They are people who demonstrate the outstanding personal character and values that you would want in any role model for your child. Because Canada’s Best™ Karate places so much emphasis on positive character development, many of our instructors are actually young adults who we have developed within our own programs through our specialized youth leadership program. These are young people who not only display martial arts expertise, but also rare compassion, gentleness and humour with children. In studying our program, your child will build strong friendships and mentor relationships with these exemplary young men and women. Are you ready to take advantage of our Special Offer? Enrolling your child in a martial arts school may feel like a big step. I certainly understand the complicated choices parents face in selecting activities and schools for their children. 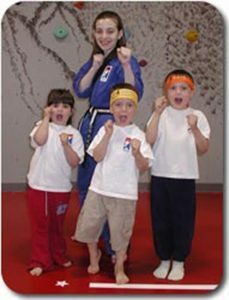 If you are ready to consider a martial arts program for your child, let me make your choice as easy as possible. Try the Canada’s Best Karate 10-Day All-Access Pass – click here! Your child can try out our amazing confidence-building program by registering for our 10-Day All-Access Pass. For only $19 + HST you can attend unlimited beginner classes for 10 days, plus for limited time we will include a FREE CBK Karate Uniform – a total discount of 80% off! But you are under no obligation to enrol; try us out for 10 days first to make sure our program is right for you. Just click on the link to the right or pick up the phone right now and call us at 905-879-8008. But I have to warn you: we do limit our class sizes so contact us soon so that you can secure your place in class. So take that first step towards securing your child’s future. Soon you’ll be seeing smiles of confidence from your child! Copyright © 2019 Canada’s Best Karate. All rights reserved.